by CompareHero.my, on category "Money Tips,Retirement,Travel & Lifestyle"
None of us has the power to predict the future. 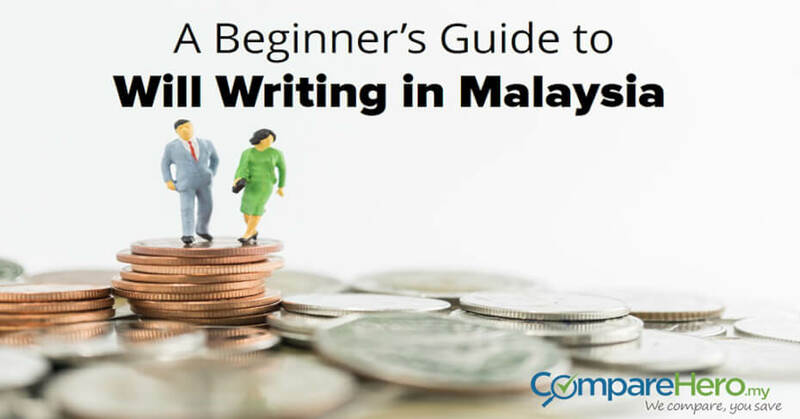 So, for peace of mind, and to ensure your family and loved ones will get what is rightfully theirs, here is a guide to help you identify what you should know about will writing and surat wasiat in Malaysia. What is a will and why do you need it? A will is a legal document that will determine how your wealth will be distributed among your beneficiaries and those under your care, such as minor children. It ensures it will be handled and distributed according to your wishes. Holographic will: A handwritten will that is written and signed by the testator. Oral will: Also known as a nuncupative will, which is a will that has been delivered orally through speech to witnesses. Living will: Also known as a directive to physicians, this willallows people to state their medical care wishes in case they become unable to communicate their medical decision. Wasiat: An Islamic will where a Muslim will make a declaration during his or her lifetime regarding assets. A will and surat Wasiat are governed by different sets of laws, however, both serve a similar purpose. A Wasiat where the testator can give property or asset to a non-beneficiary who is not entitled to anything under Faraid Law. Only 1/3 of the assets that are not administered after deduction of liabilities can be given. The remaining 2/3 of the Testator’s assets will remain the lawful share of his or her beneficiaries under Faraid Law. A Wasiat where the testator can choose to donate more than 1/3 of his or her assets provided that the beneficiaries agree. Did you know that as of July 2017, there remains more than RM327mil amount due to beneficiaries of life insurance policies that has yet to be claimed? In 2016, RM64mil was submitted by members under the Life Insurance Association of Malaysia (LIAM) to the Registrar of Unclaimed Money. LIAM shared that almost all the policyholders affected by this issue were unreach­able, mostly because their contact information was outdated. This is another reason why having a will, ensuring your information is updated and naming a beneficiary is crucial. It will ensure your beneficiaries will not have to go through a lot of trouble to get the pay out money. When a non-Muslim dies without having a will, his or her estate will be distributed according to the law, except for insurance and EPF savings, where the nominees which have been named are the beneficiaries. Without a will, the asset’s one leaves behind will be distributed among family members according to the Distribution Act 1958. So you need a will to ensure smooth distribution of your assets within your family upon your demise. As for Muslim’s, their assets and wealth will be distributed according to the system of Faraid. So who inherits the assets and at what proportions, will have to follow the Faraid system of distribution. Even though a Muslim’s assets will be distributed according to Faraid, by having a surat Wasiat one can expedite the legal process for their beneficiaries to liquidate the assets. This is because Faraid does not mean that beneficiaries can obtain their entitlement immediately after the death of a person. Faraid exists in harmony with Wasiat. A testator can also make provisions to benefit their loved ones who do not fall within the category of beneficiaries in Islam, for example, adopted children, non-Muslim parents or any charitable body. How do you draw up a will and how much would a will cost? Wills and Wasiat can be written at banks, trust management companies, will writing providers or also with the help of lawyers. However, do take note that if you choose to go through a lawyer when writing your will or surat Wasiat, make sure you engage one who specializes in the field. This is because like doctors, lawyers have their expertise, which means getting a corporate lawyer to help with writing your will may not the best idea. Engaging a lawyer for a will or Wasiat will also be costly, even for a simple one. Charges for wills and Wasiats will vary according to the number of clauses, or items inserted, as well as the level of complexity of the intended will or Wasiat. Whether you choose to write your will or Wasiat at a bank, through a lawyer or will and Wasiat writing provider, make sure you do your homework and choose a reputable one. This is to safeguard yourself and make sure the authenticity of the will or Wasiat will not be challenged or deemed invalid. Remember, when writing a will you will need to appoint a witness. To make sure of the validity of the will or Wasiat, you must sign it in the presence of 2 witnesses who are 18 years old and above. For Wasiat, witnesses must be male Muslims. Will is revoked by a marriage or re-marriage (unless the Will is made in contemplation of a particular marriage). Divorce or separation does not revoke a Will. A Will is revoked when the Testator destroys the Will physically with the intention of revoking it. Accidental or malicious destruction by a third party does not constitute revocation. A subsequent Will would automatically revoke an earlier Will, whether or not a revocation clause is included in the later Will. The Testator can also revoke a Will by making a written statement of his intention, signed in the presence of 2 witnesses. Finally, take into consideration of where you will be keeping the will or Wasiat. Ideally, the location of the will or Wasiat should only be known to the immediate family. 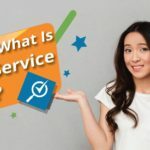 For safety and easy retrieval, you can choose to keep it under a custodial service, which many will and Wasiat writing service providers offers.